Students from various high schools in the Seattle area participate in the WaterWorks summer program. Although it can be described as a water activity, WaterWorks isn’t the typical summer variety. The fifth annual summer program brought Seattle area teachers and students to campus, where they learned about the water supply and treatment process. Led by CEE Associate Professor Michael Dodd, the workshops are supported by a National Science Foundation grant, with the goal of educating the next generation of environmental engineers. 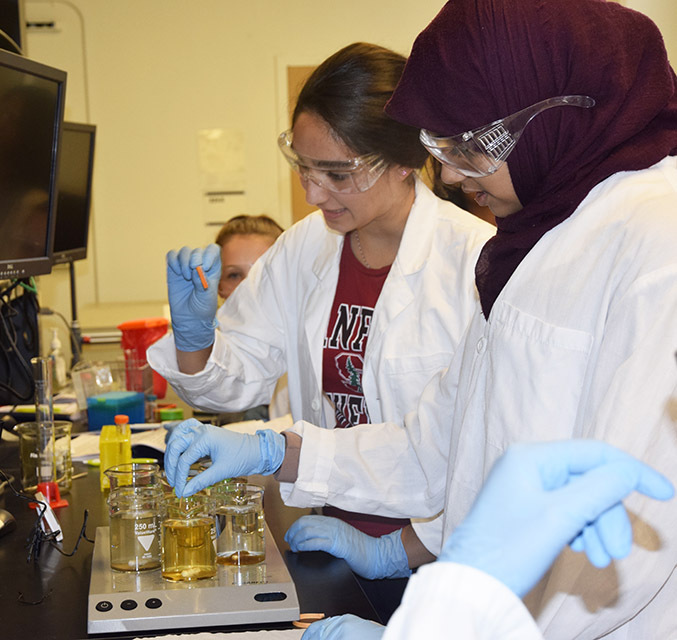 Following a tour of a water treatment plant the day before, high school students learn to purify surface water samples through the use of a jar test approach to simulate coagulation, flocculation, and sedimentation processes in the lab. The free summer program, held from August 13-24, consisted of two separate weeklong workshops, one for teachers and a second for students. The program introduced teachers and students to various aspects of the water supply and treatment process through a mix of labs, lectures and field trips. During the first week, eight teachers participated in labs and field trips and had an opportunity to work with Dodd and graduate student Huan He to plan new instructional units, activities and labs focusing on various aspects of water supply and treatment, which they will take back to their classes this fall. 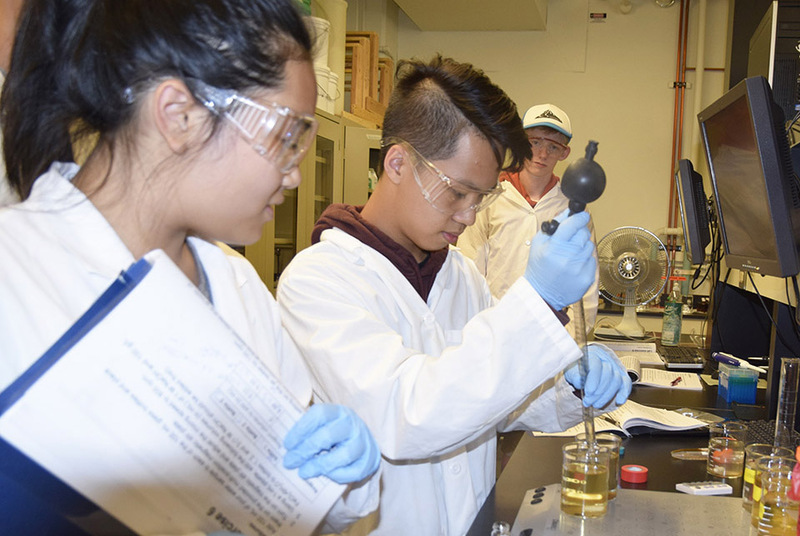 During the second week of the program, 15 high school students who will enter grades 11-12 in the fall learned how municipal drinking water supplies are managed, protected and treated, as well as how wastewater is collected and treated. The students toured the Cedar River Watershed, Tolt Water Treatment Facility and Brightwater Treatment Plant, performed a variety of hands-on laboratory activities aimed at exposing them to concepts in water analysis and treatment, and spoke to alumni, students, faculty, and staff from the CEE program about educational and career opportunities in civil and environmental engineering. Additional information about the annual workshop programs is available at WaterWorks. 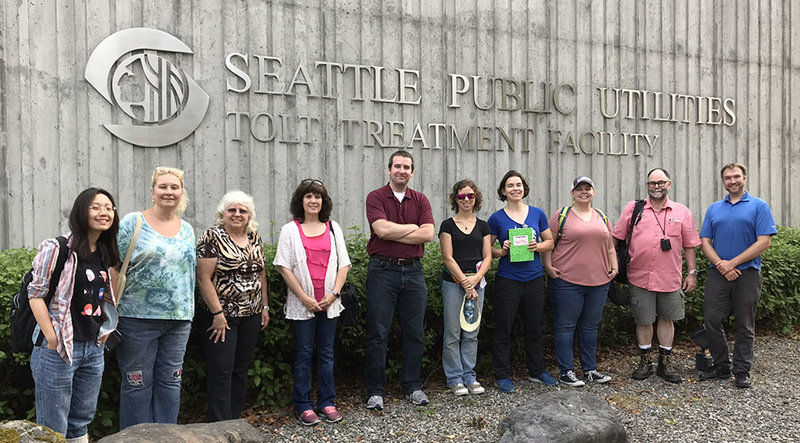 Teachers from the Seattle area tour Seattle Public Utilities' Tolt Treatment Facility.